Are we, the American people, gluttons for punishment? Tonight is the fifth Republican debate and, thankfully, the final debate of 2015. We’re headed to LAS VEGAS BABY, where the citizens of this fine nation will get one step closer to deciding which candidate they might like to roll the dice with when it comes to the future of the country. 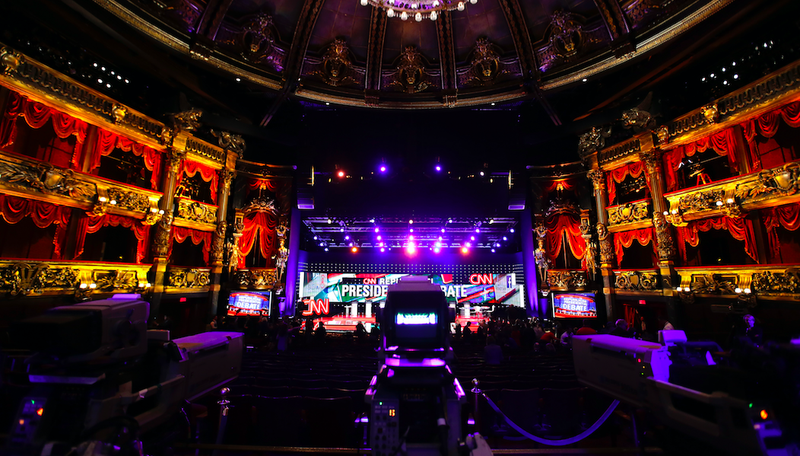 The good news: The debates are on CNN, which makes them very easy to watch. The bad news: Donald Trump will still be on stage. The main event starts at 8:30 ET. It will supposedly be focused on foreign policy and I’m sure you can guess what kind of delightful discourse that will inspire. At 6:00 ET, the also-rans will talk about something else in a colorful padded room with extra small furniture and a kitchen playset. Watch on CNN, CNN International, and CNN en Español. Anyone can watch the debate on their mobile devices without having to log in. The Salem Radio Network will carry the debates nationwide.